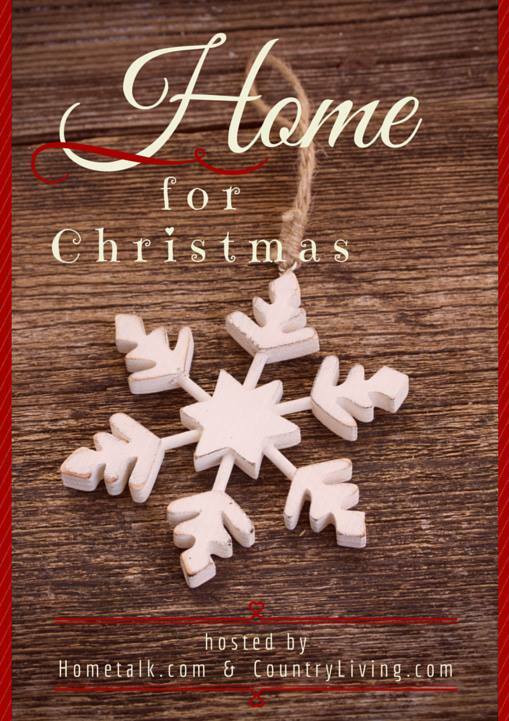 I am delighted to be joining a talented group of bloggers in “Home for Christmas!”, a holiday blog hop hosted by Hometalk.com and CountryLiving.com! I encourage you to visit all the participants by following the links at the bottom of this post. 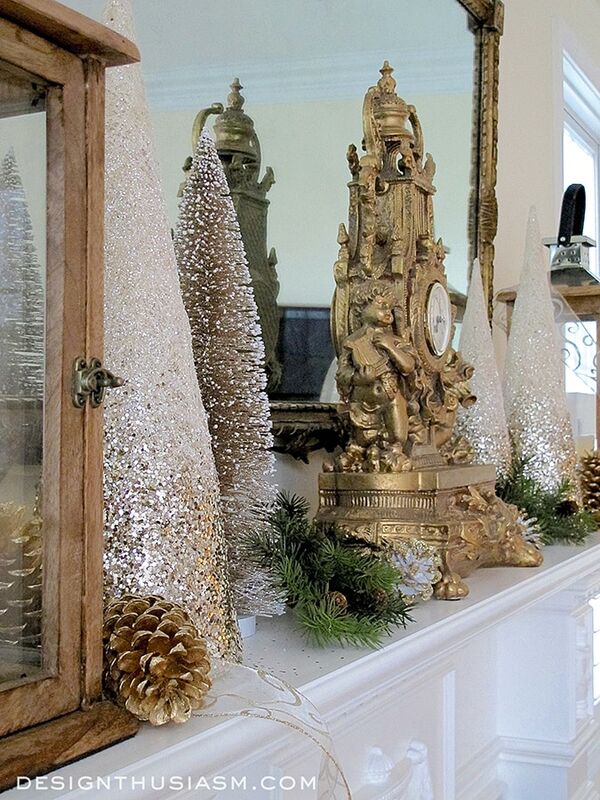 But first… a peek at my holiday mantel, decorated with casual elegance. As I often mention, I love seasonal decor. 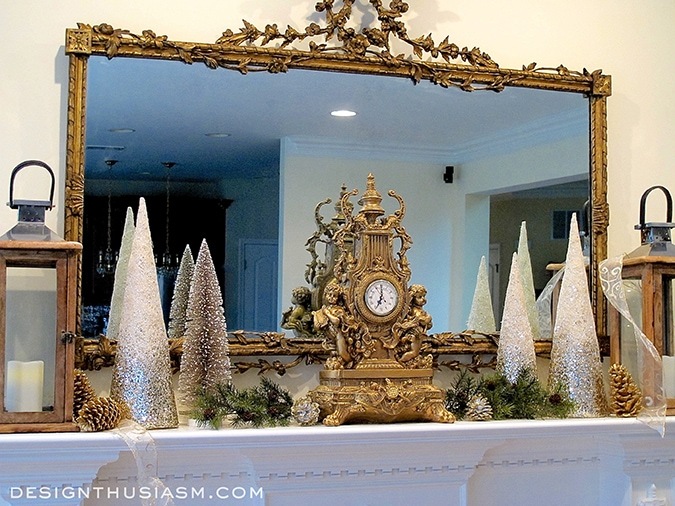 Yet while I love to change things up to reflect the progression of the calendar, I try to ensure that my seasonal decorating stays true to my aesthetic. 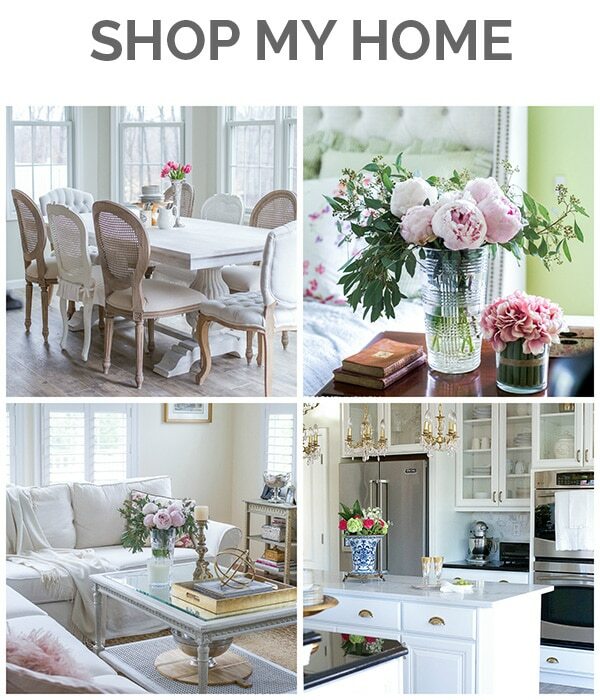 The more intently we refine our personal style, the more cohesive our homes become. At the same time, in order to maintain harmony in your home, it’s always best to consider the structure’s intrinsic character. 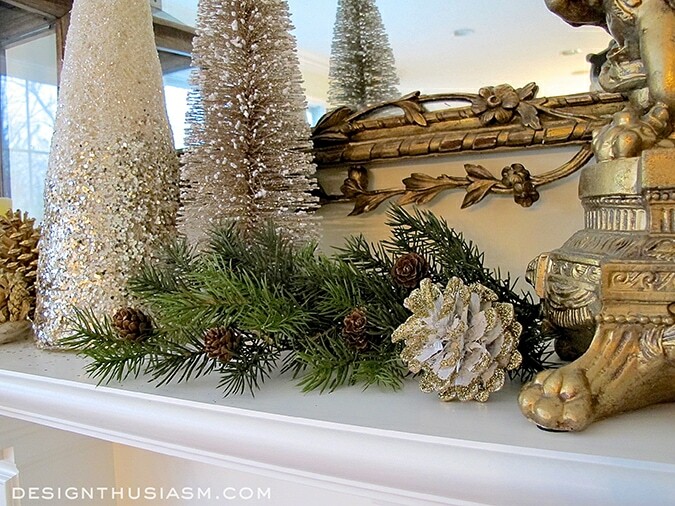 With this in mind, I set about decorating a holiday mantel with casual elegance, a phrase that’s beginning to define my design style. 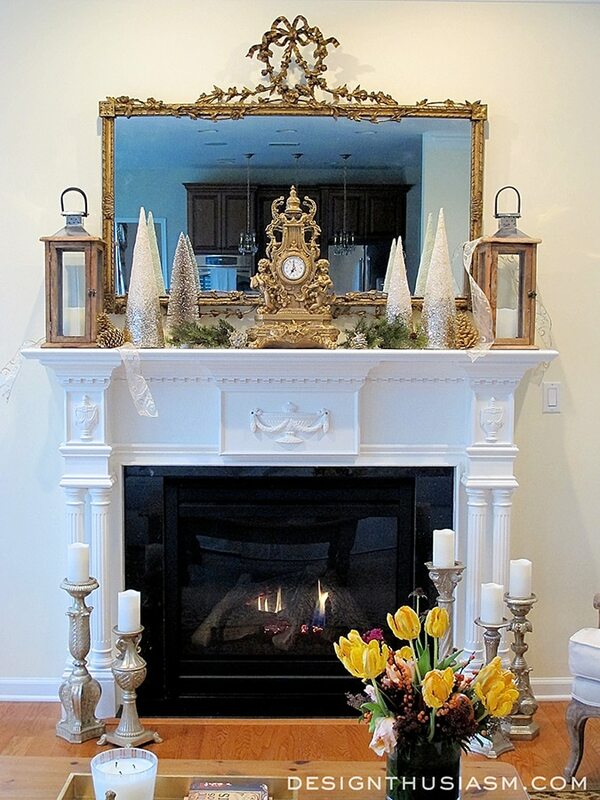 In order to satisfy this decorating challenge, I focused on 6 key aspects: my favored design style, the color palette I wanted to highlight, the character of my fireplace mantel, the items I already owned, the addition of some bits of holiday bling, and a more rugged grounding element. 1. My favored design style can’t be summed up in one simple word. 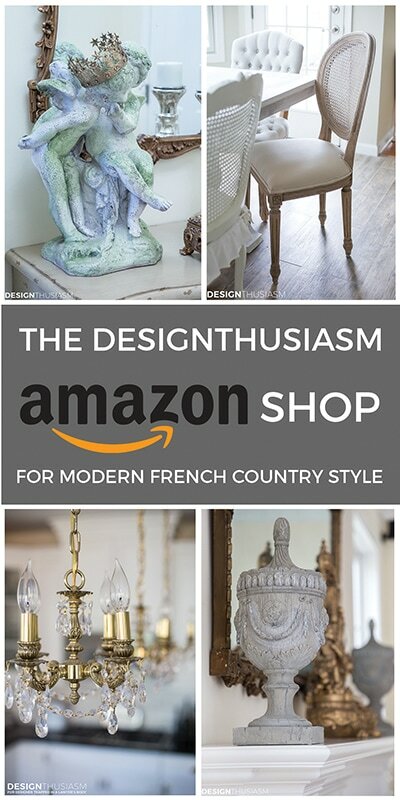 It’s in large part influenced by European design, particularly French country, but it’s really a bit more town than country and has a distinctly American expansiveness. There are also hints of English manor and I’ve come to think of it as a casual elegance. 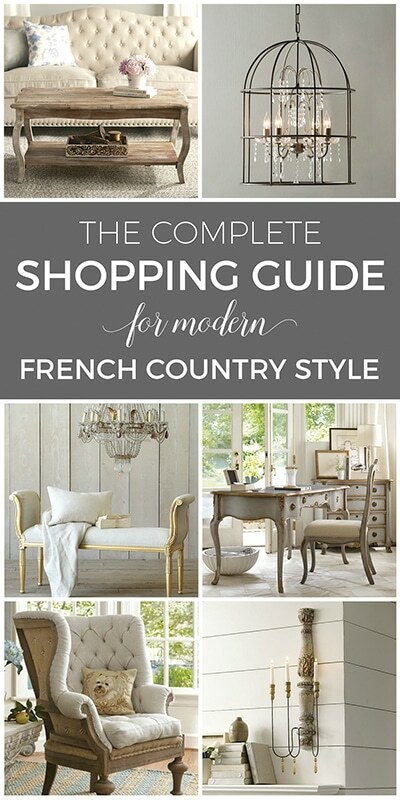 A bit more serious than country decor, but with an unmistakable underpinning of casual ease. 2. Color palette – my palettes are often driven not only by the existing decor in the room, but also by a desire to do something different than I’ve done before. This year I wanted to limit my colors to gold, cream and green, with the omission of red as setting it apart from what I did last year. 3. 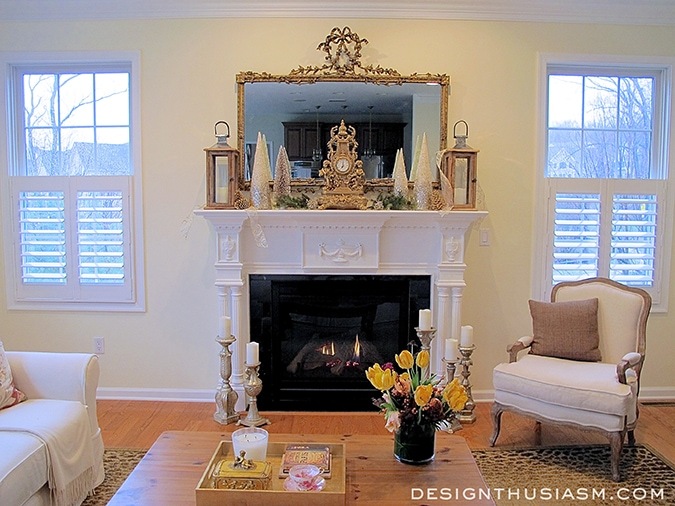 Character of my fireplace – the classical architecture of my fireplace mantel really set the tone for my mantelscape. It has a regality to it that can carry a pretty ‘dressed up’ vignette and also doesn’t require excessive embellishment. 4. 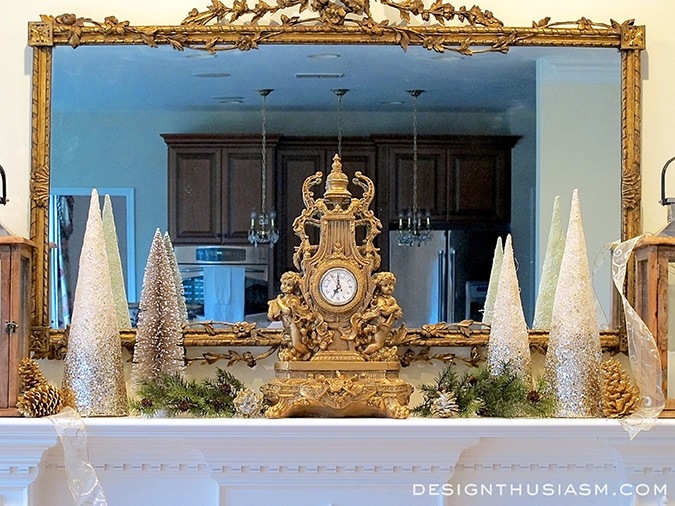 The items I already owned – almost everything on the mantel I already had in my house, but most significant is the gilded mantel clock, which always sits proudly front and center on the shelf. 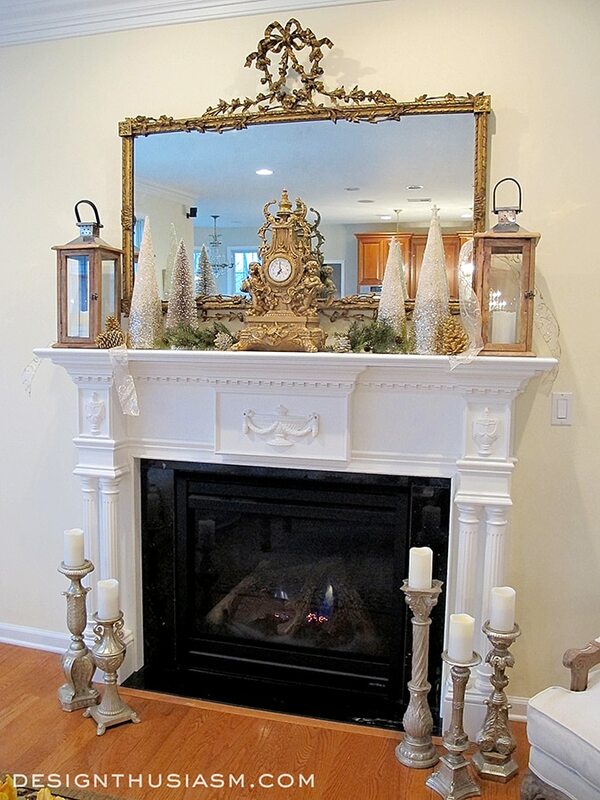 The carved antique mirror above it also works well with the holiday theme. 5. The addition of some bits of holiday bling – this, of course, is where I began to have some fun. 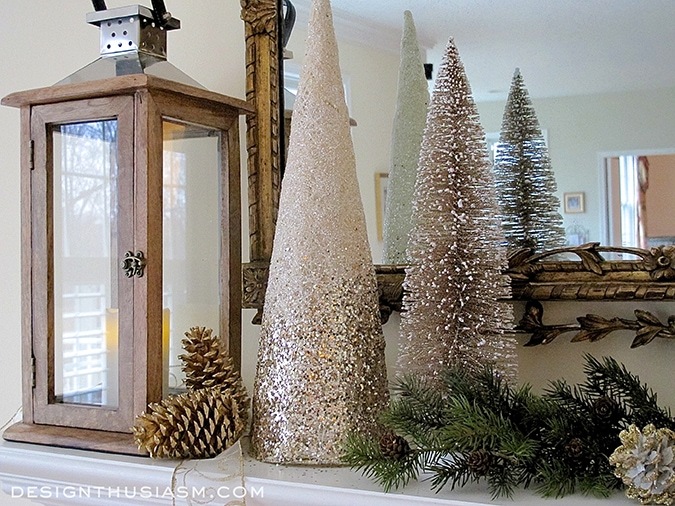 The bottle brush trees and glittered cones are the new additions that add both wintery spirit and holiday glimmer. They were super inexpensive bought at Michael’s on sale. 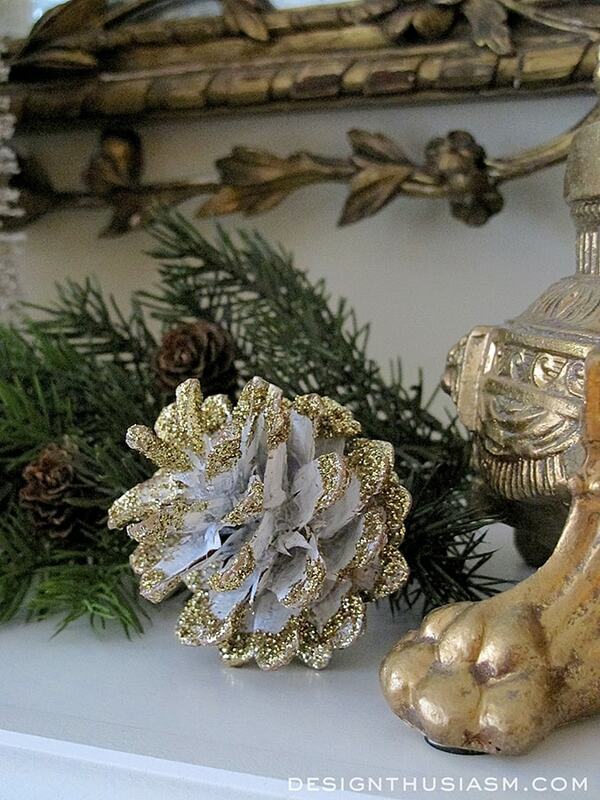 The gilded pine cones and sparkling ribbon were pulled from my collection to add to the sheen. 6. A more rugged grounding element – in keeping with my style and to prevent the whole thing from becoming too serious, I wanted a more casual element to ground the look and make it mine. The wooden lanterns from Pottery Barn were just the thing needed, adding both candlelight and a woodsy feel. Tuck in some greenery and you’re good to go. 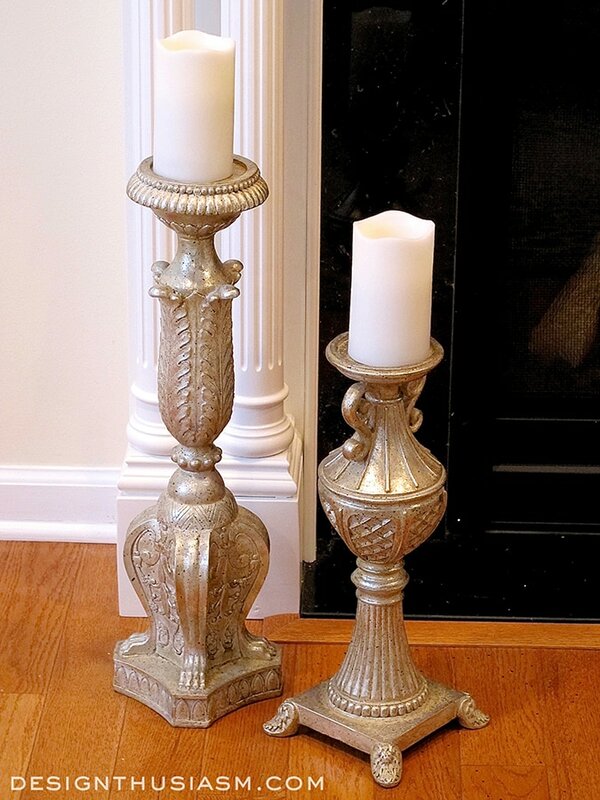 I didn’t ignore the hearth either, and added these wonderful candlesticks from Horchow to flank the fire box. 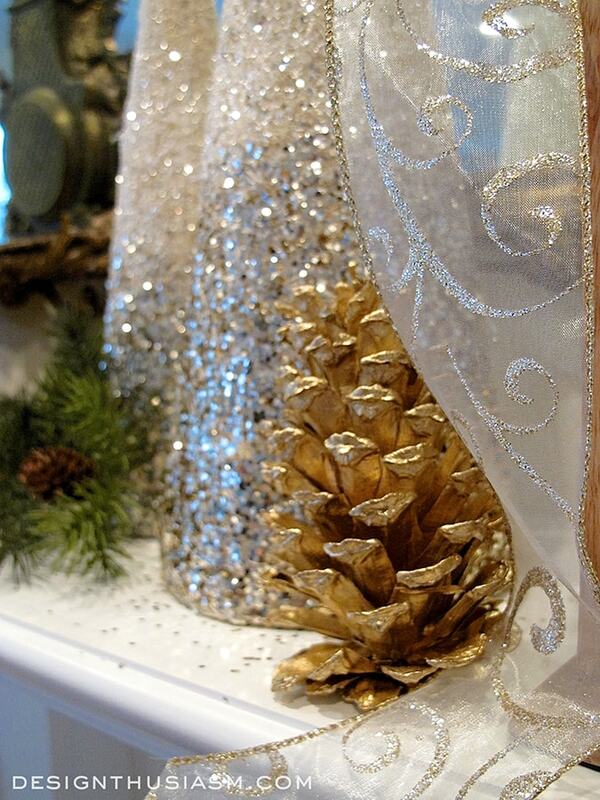 Last week I began slowly easing into my holiday decor, but as the month unfolds I’ll be adding more and more. You can see my entryway here in Easing into Holiday Decor, and next up will be my table settings and a tabletop holiday tree. 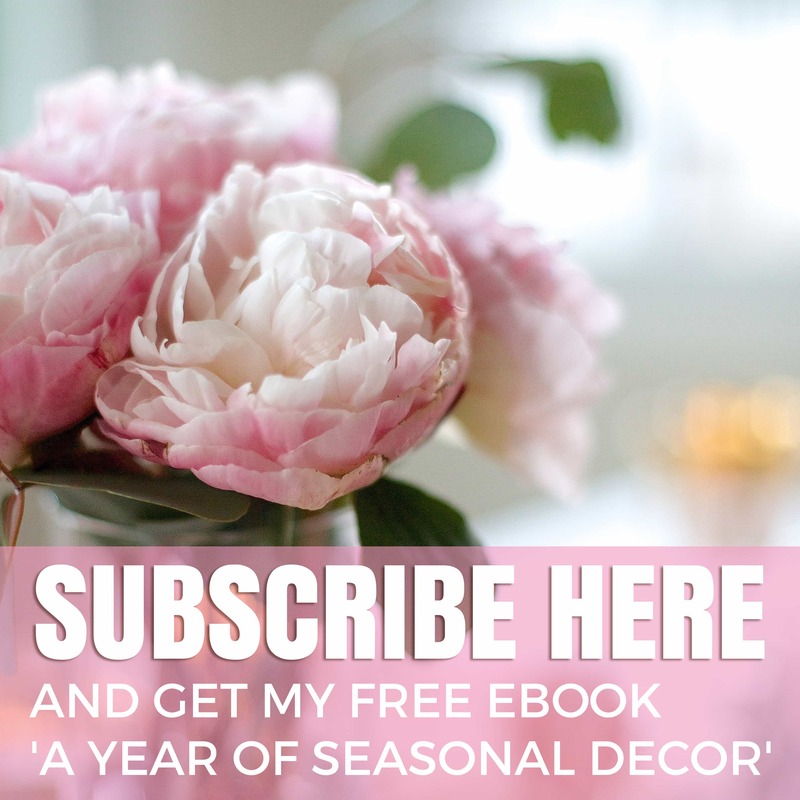 Please join me in visiting all the other bloggers in this blog hop by clicking on the links below. There are some amazingly talented people adding their creative work to this holiday celebration. You can also find them on social media by following the hashtag #homeforchristmas. Enjoy!! 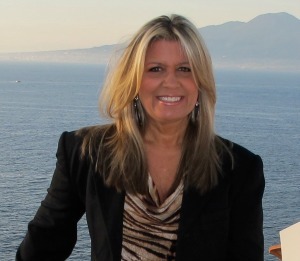 Many thanks to Hometalk.com & CountryLiving.com for sponsoring this blog hop!! 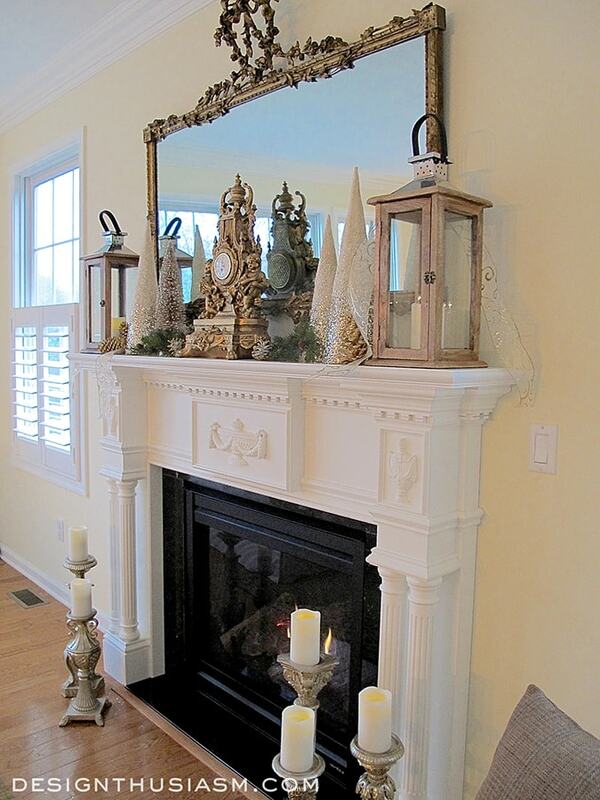 Lory, your mantel is just beautiful! Very elegant!